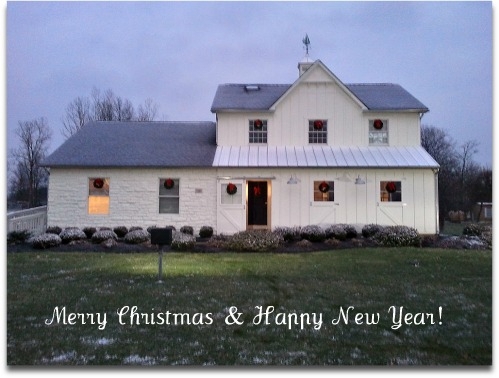 New England Homes is a custom builder in southern Delaware County, Ohio. New England Homes builds throughout central Ohio. We (the HER Realtors Builder Developer Division at New England Homes) are working short handed through the holidays due to a promotion (congrats Tom!) so the HER flags and signs will not be up everyday. The photograph was the New England Homes Sales Center (the “Barn”) in 2011. The builders at New England Homes will be going about their business and keeping their appointments of course. Contact me if you need more information on building a custom home in central Ohio. 614-388-8249 or email. Thanks! This entry was posted in New homes, Ohio homes. Bookmark the permalink.